The fixture of the weekend features two sides battling it out for a spot in the top four realistically. This match is taking place at the Emirates and can be viewed live on Sky Sports from 5:30pm on Saturday. If you fancy a bet in-play make sure you get signed up with Bet365 who offer competitive odds and a huge range of markets unlike many bookmakers, they’re the best bookie around, especially when in-play betting is concerned. Both sides are plagued with injuries, Arsene Wenger’s side are without Debuchy and Koscielny at the back which means Monreal is likely to play centre back as he has done in the last few games. Arsenal’s record signing Mesut Ozil remains sidelined but Theo Walcott is fit although will most likely start on the bench. Olivier Giroud is in contention however Danny Welbeck will most likely start after scoring twice for England last weekend. Man United maybe without their inform goalkeeper David De Gea after he dislocated his finger whilst training with Spain, Anders Lindegaard would most likely step in. Defensively Louis Van Gaal is waiting on the fitness of Phil Jones, Jonny Evans and Rafael whilst Summer signing Marcus Rojo is definitely out with a shoulder injury. Daley Blind is also out of this encounter after suffering a knee injury whilst playing for Holland at the weekend however Englishmen Michael Carrick and Ashley Young are expected to return to the squad. Finally Radamel Falcao is likely to start after missing United’s last three games through injury. Neither side have started the season particularly well, Arsenal sit 6th in the Premier League table after 11 games and Man United are just one point behind the Gunners in 7th. Arsenal’s form has been very disappointing as of late, they’ve won just two of their last six Premier League matches and they most recently lost against Swansea City despite taking the lead. You could argue that Manchester United have improved as of late, they’ve lost just one of their last six matches and that loss came at the Etihad Stadium against their rivals Man City. Louis Van Gaal’s side showed real determination against Chelsea to get a result and in their latest fixture they beat Crystal Palace one nil, although it wasn’t a pretty victory. 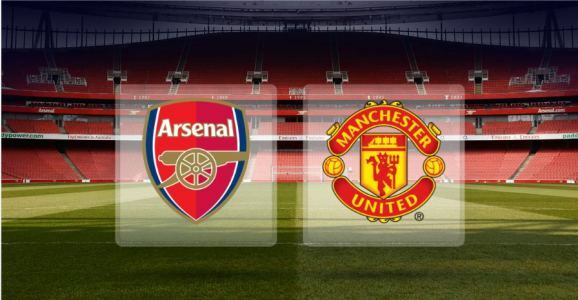 Manchester United have dominated this fixture over the last few years, Arsene Wenger and his Arsenal sides have managed just one victory against United in their last 14 meetings and that was back in 2011! Thus meaning that Man United have won 10 of their last 14 matches against Arsenal who simply struggle against the better teams. Last season Manchester United beat Arsenal at Old Trafford under the management of David Moyes 1-0 and they were held to a goalless draw at the Emirates. Given Arsene Wenger’s record against Manchester United and the big sides in the league i’m more than happy to oppose Arsenal. Both sides have injury problems but Arsenal’s are more significant in my opinion, Monreal playing at centre back against Falcao, Rooney and Robin Van Persie will inevitably end in goals. Finally I think Louis Van Gaal is a superb manager and he’ll get it tactically correct against United’s top four rivals.